Big appearance or noble understatement - the variety in style of eight different Sequenza-models goes from glamorous and freaky to arty and precious. The scenarios of the respective literary sequences are just as versatile. The materials and colours of the new models take the bearers on an expedition or to a mild summer night on the beach. The bags convey Caribbean flair and the ease of tropical nights to the bearer. Napa leather nestles to python, calfskin is combined with Carp. The wildness and originality of the materials are intended to put a spell on the customer. An eyecatcher is the real crocodile tail which among other things adorns the models "Virgin" and "Trinity" from the new collection. The model "Savanna" is arranged to restrained elegance. 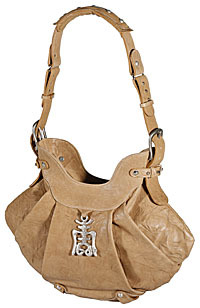 The highlight of this bag is an amulet shaped in a Chinese sign for longevity, the base for a happy life. The lines are intended to strengthen the vitality and the inner energy of the bearers. In the designs, Tina Karl specifically emphasises the exquisite materials by playing with its contrasts. The accented richly contrasted colours are combined with the basic colours of the forthcoming summer season. With regards to the outlines of the designs as for example in the exotic "Kingston", sunny Mustard, deep olive green or bright Nightblue are used. Moreover, bearing colour elements are mud, brown and black. All of these radiate exceptionality and underline the authenticity of the materials. Individuality is the credo of Sequenza. All bags are only available in a limited edition of 500 pieces. A literary sequence is enclosed with each model contributing to it´s uniqueness. 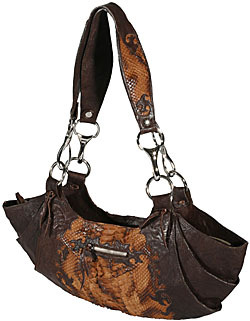 It describes symbolically the exceptional character of the bags. 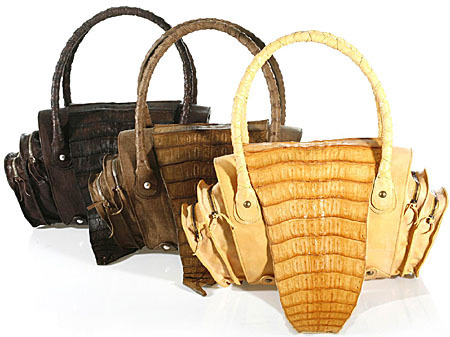 In combination with a sequence number and a certificate of authenticity, the handbags become unique pieces of design with a distinct character of their own. For the first time, the label also includes two gents’ bags in the programme. A shoulder bag designed for the fashion-conscious man, the other in the classic form of a briefcase. Sequenza takes a new path also with other creations: At the fair the label presents filofax and purses matching the collection.